Danish Children Growing Up American is a delightful photo exhibit featuring Danish immigrant children as they adjust to life in America. The exhibit depicts Danish immigrant children at around the turn of the 20th century. Twenty 8-foot high by 4-foot wide panels feature roughly 50 photos showing various stages of a child’s life at the time, from infancy to their early teens. All of the photos come from the DAAL’s collections, and were selected out of tens of thousands of wonderful photos housed at the Archive. Being scanned at very high resolution, the selected photos were expanded to the size of the panels without losing any clarity. In fact, the larger size allows one to see detail not possible in the small snapshots. Although the photos depict immigrant Danish children, their experience is universal among all immigrant children, no matter what their nationality. There is no rental fee for the exhibit, but we require exhibitors to provide insurance and transportation costs. 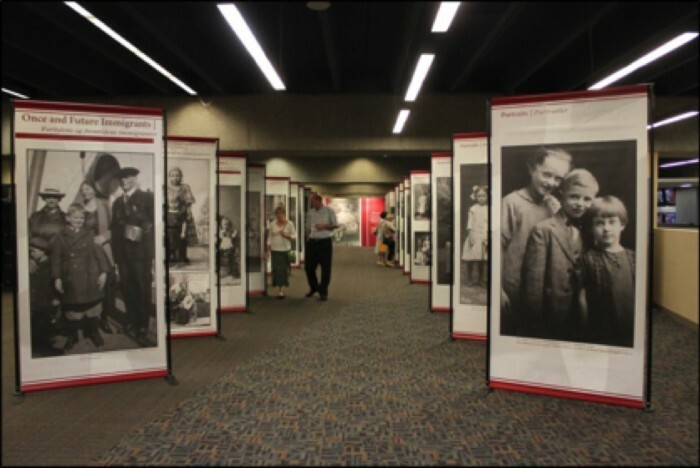 If you would like to host the Danish Children Growing Up American exhibit, please call the DAAL at 402-426-2695, or contact us by e-mail at info@danishamericanarchive.com.